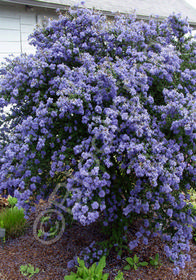 A beautiful, evergreen shrub with very nice, small and slightly cupped deep green leaves. Cobalt-blue flowers completely cover the foliage in late spring. Copyright © 2014 – Blooming Advantage™ – All rights reserved.